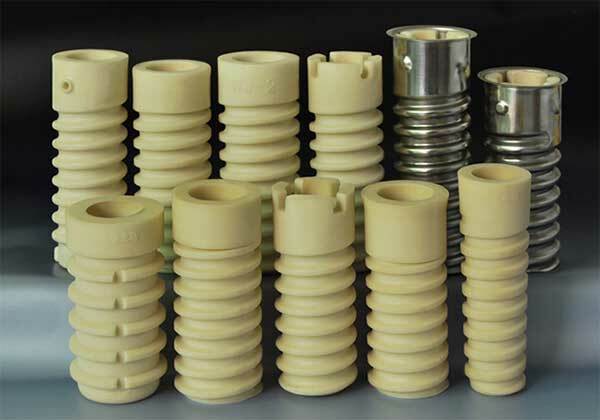 Rail plastic dowel is also called rail plastic sleeve/plastic insert/concrete dowel/ concrete insert, which is a counter-party fastener for a sleeper screw or anchor bolt, and it is pre-imbedded into the concrete or wooden sleeper tie, installed together with screw spikes, guide plates and rail clips to fasten the rail tracks. 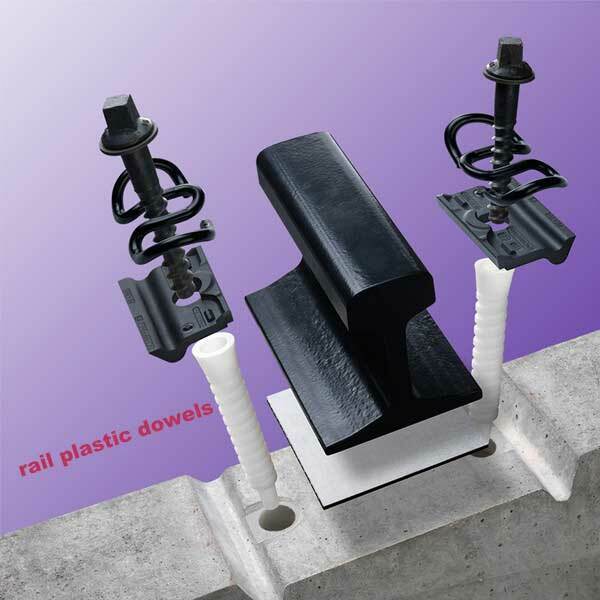 In one set of rail fastening system, the rail plastic dowel can be considered as the fastening foundation, as it needs to be pre-inserted into the concrete sleeper separately before assembling the rail fastening system parts. 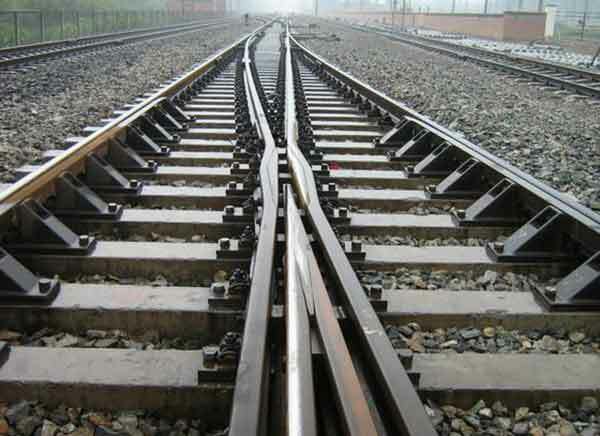 It is used to guarantee the good connection and linkage of the rail fastening system with the concrete sleeper, with screw spikes or bolts. On the other hand, similarly as the rail pad or rail insulators, the plastic insert’s another function is to insulate the fastener parts from the ties. 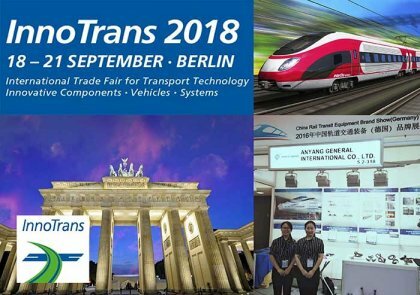 Therefore, the quality of this small pre-inserted part into the concrete sleeper, especially its strength and fatigue life, is of great importance to the whole rail line. 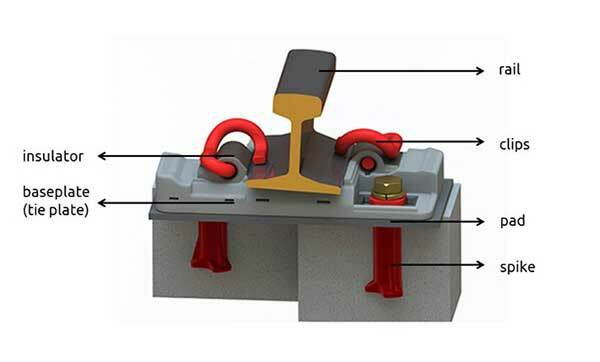 Taking WJ-8 fastening system for an example, the collaboration of anchor bolts and imbedded plastic sleeves in the track slabs makes the tie plate be tightly fastened to rail track and sleeper, through rail clips, to fulfill an enough elasticity range, to avoid the rail bolt against becoming loose, and decrease the maintenance work accordingly.